Maybe 2018 wasn’t exactly the Year of the Light, but it saw an assortment of advances and innovations in smart lighting technology all the same. Not too long ago, there were only a few smart bulbs available at the market, and you had to pay dearly for the convenience they offered. In 2018, more brands tried their hand at smart lighting, and buyers loved these new options. Not since the clapper has the world seen such efficient and impressive advances in lighting. You can now control your lights with a single voice command or with the touch of a screen. More than that, you can even create a lighting playlist, if you will, that caters to your mood or keeps your home safe. Out of all the advances in smart lighting technology, mood lighting seems the least impressive, but that’s only on the surface of things. Many people have something to say about the mood-lighting craze of the 1960s and 1970s, but this is the twenty-first century, and ambient lighting genuinely affects your mood. You can adapt your lighting to reflect how you feel or use the technology to boost your spirits. 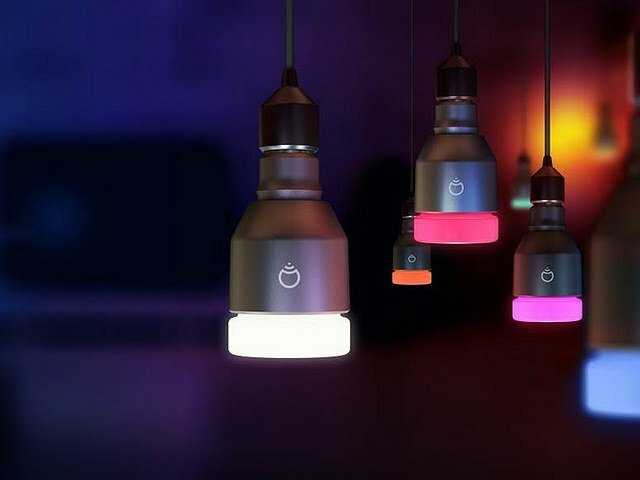 Color-changing Wi-Fi LED light bulbs lead the way in this innovation. At first, a bulb that changes colors appears to be nothing more than a moderately neat trick to show off to your friends. These bulbs do more than that, however. Some are simple, with a standard ROY G BIV color palette, while others boast up to 16 million colors. Not only can you create the most flattering lighting, but you can come up with a lighting pattern for each mood you experience. It’s also possible to light your bedroom with smart lights that don’t use any blue light, the nasty hue that interferes with your sleep. You get it from the television, your tablet, and your phone. Its sleep-stealing rays disrupt circadian rhythms, prevent you from feeling tired or resting well, and interrupt of your REM cycle. Add a light with no blue to your bedroom and turn the space into a restful sanctuary. Most Wi-Fi LED lights have an app that allows you to control everything. You can expect to get around 800 lumens for only 10 watts. The lights averages around 20,000 hours of power, and they can go anywhere, from reading lamps to ceiling fans. Security is always a hot topic in the tech industry. In 2018, smartphone-compatible security cameras finally coupled up with smart lighting. Night vision security cameras, for example, have their own infrared lighting that allows homeowners to see what’s up after dark. 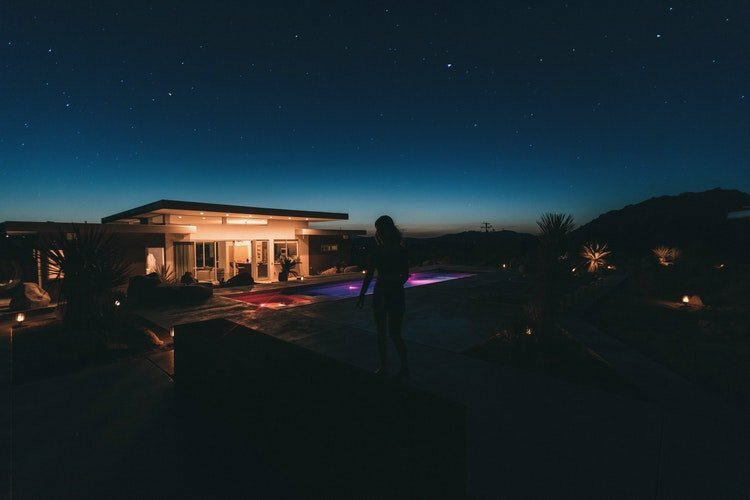 Considering that people fear burglaries and home invasions at night, the ability to see who’s knocking at the door or creeping up the driveway is understandably popular. Smart security lights saw an improvement, as well. Instead of fiddly motion sensors with no smart options, you can install floodlights in any outdoor space. While movements still trigger the spotlights, you can also turn them on and off via an app or a voice assistant device, such as Alexa or Google Home. Because they’re “smarter,” they are easier to program to varying levels their sensitivity, thus significantly reducing the risk that they’ll be triggered by a waving tree limb or the neighbor’s cat. At any rate, even if you prefer a high sensitivity, you can quickly check the app to see what’s what. It stands to reason that different types of smart technology diverge, especially as innovators work toward total integration of smart technology. On one end of the spectrum, you have temperature-changing light bulbs. They are light bulbs that change temperature, as well as color, all on their own. LIFX bulbs tend to get high marks. For the most part, they’re popular for how impressive they appear, but they are more efficient, as well. They also offer a way to create ambient lighting on a smaller, more cost-conscious scale. More brands and manufacturers want homeowners to be able to control a variety of smart technologies from one device. Even if you use a hub such as Alexa, you should be able to manage both your smart thermostat and your phone, along with any other smart products you own. They’re about convenience as well as energy efficiency, after all. Perhaps recognizing that people aren’t really keen on buying one light bulb at a time, full smart-lighting kits emerged as a trend in 2018. An array of big name brands in both lighting and tech rushed to offer starter kits for anyone interested in experimenting with smart lighting. The beauty is that they span a full spectrum of price points, which allows folks who are on a budget to experience the joy of controlling their lamps and overheads. At the most expensive end of the price range, you still shouldn’t have to pay more than $200 to get started, the cost of many Philips starter packs. Always pay attention to what you get in the kit. The extras might be worth a higher cost. For instance, if you can get three light bulbs and the smart hub that allows you to hook up to your Wi-Fi, all for less than $200, you should jump on the opportunity. Purchasing three separate bulbs plus the hub is more than that. Then again, bear in mind that you can get two lights and a hub for around $70 from suppliers such as Amazon. It pays to shop around. Portable lighting is nothing new. Portable smart lighting, on the other hand, is one of 2018’s gems. This innovation doesn’t revolve around flashlights, although rechargeable LED flashlights came to the fore. All you need is a USB port to charge these bright lights, which typically offer a variety of beam settings. They’re ideal for anyone who spends time outdoors, but they’re also smart—pardon the pun—to have around in case of power outages and storms. It’s easier to charge up a flashlight than it is to check the batteries and replace the old ones continually. That gets expensive. Travel lights gained headway in 2018, too. Now, it’s possible to take your ambient light with you wherever you go. It’s the size of a small makeup mirror, making it easy to pack and transport. You can even slide it into your carry-on luggage. All you need to charge it up is a power outlet. Wherever you go, you can create mood lighting that sets you at ease. You can go a step further and make a light show. Look for a light that casts at least 300 lumens. It should last for a minimum of three hours once it’s fully charged, and you shouldn’t have to replace these bulbs before 20,000 hours of use, which is the standard. The smart lighting innovations on the way for 2019 are no less impressive and are just as varied and versatile. Integration is on-deck to trend, with an eye toward streamlining the entire process of using smart technology. Artificial intelligence is smart, but when you’re trying to use five different devices to control twice as many appliances and gadgets, misunderstandings are bound to happen, often at inopportune times. Again, smart technology is specifically designed to make life easier. What’s more effortless than controlling all of your tech from one location? Security lighting will see more progress, as well. For instance, Ring plans to introduce a new kind of motion sensor. One light triggers another which triggers another, and so on. From there, the Ring app will send alerts and notifications to your tablet or smartphone. You can use the lights in conjunction with other Ring devices, such as their smart doorbells and security cameras. The idea is to use the motion lights in the darkest nooks and crannies of your yard. 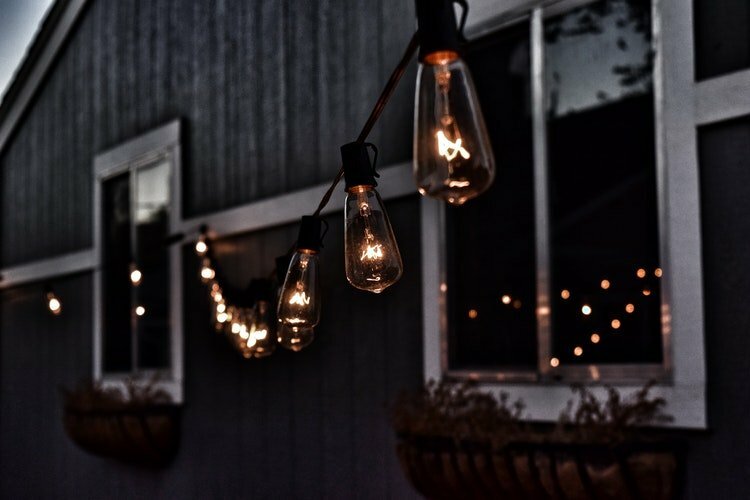 From dark porches to the hidden corner by the garage, you can focus on any area or spread out the lights over your property. It’s also the year of outdoor lighting for the sake of aesthetics. The progression from smart indoor lighting to outdoor options is a logical one, not to mention delightful. Philips Hue, in particular, is ready to help people to create magical backyards and gardens. The Philips Hue collection is spearheading the concept of welcome lighting, as well. The brand has lights that turn on as you pull up to your home. They then trigger other lights, set to a pattern that you put together depending on your whim. Your home will feel like the most welcoming space on Earth. Energy-efficiency is set to grow at a steady pace, too. Solar panels are always evolving. If installing them is an option, then you could effectively cut out your power bill and light your home with the power of the sun. What smart lighting innovations do you use now? Which ones are you excited to try?